1. You can start free by writing articles and posting the article to your various websites on an on going basis. Over time the articles will be seen by the public that use the keyword phrases you use in your article to find you. If you right compelling articles, they will come. Use pictures and video too to capture their attention. Post the articles in a couple different locations on the net. Point videos from your Youtube.com channel to your website to attract Google’s attention and your audience. 2. Ramp up quickly by paying for Google Ads, Facebook Ads and/or Linkedin Ads. While doing that, write your articles and add them to your websites as well as the suggestions provided above. Once you start getting paid leads, close them and apply 20-25% of the proceeds towards more article writing and paid advertising. Before you know it, your leads will flow consistently, provided you write great articles and use the best keywords possible with respect to your product or services. 3. Hire a senior specialist with the skills set for SEO (Search engine optimization). They can be very cost effective and offer a great return on your investment. Get your site on the first page of the search engines for every keyword you want. Its a long term approach which can reap the rewards for years to come. Materdigm CRM along with Will2Design.com can can help you along the way. They incorporate online lead generation technology, lead management and website development to kick up your presence on the internet while delivering leads to your CRM inbox. Simply, manage those leads from start to finish and start your post marketing efforts after your transactions are complete. This approach increases your ability to get referrals long after the deal is closed. 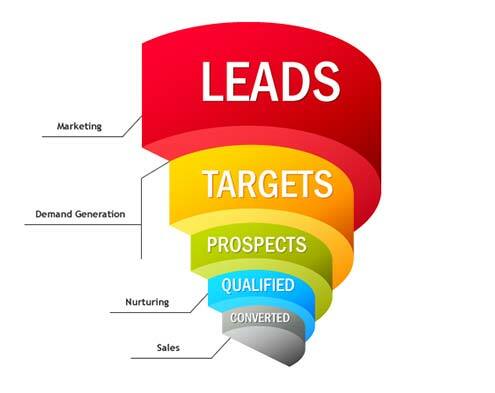 Try a free trail of Masterdigm CRM and learn how to do online lead generations for yourself.